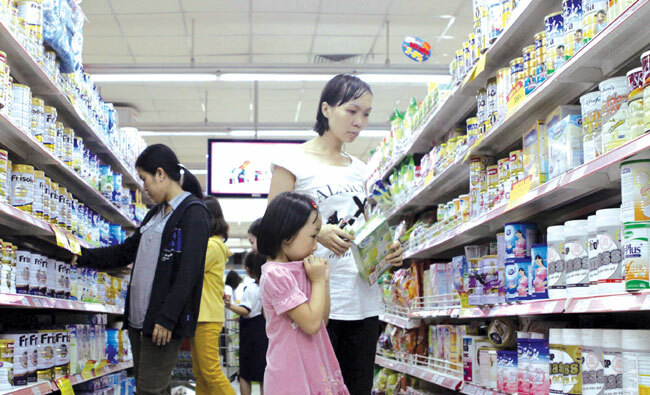 HA NOI (VNS) — The ministries of Finance and of Industry and Trade are to set up delegations to inspect dairy production and trading companies as required by the Government after those companies submitted proposals on increasing the price of their products, an official of the Ministry of Finance said yesterday. Nguyen Anh Tuan, director of the Price Management Department under the Ministry of Finance, said the two ministries yesterday had a meeting with ministries to carry out the Prime Minister's direction on inspecting milk product prices to stabilise local market prices, during the Government's monthly meeting on February 28. The delegations are to inspect factors affecting the selling prices of dairy products of the five companies and determine whether violations have occurred of the Law on Competition and the Law on Price, and to present recommendations regarding the prices of dairy products, Tuan said. The companies include Mead Johnson, Nestle Viet Nam, Vinamilk, and 3A Nutrition Joint Stock Company, which distributes Abbot dairy products, and Friesland Campina. Following the inspections, the ministries would issue a public report on the inspection results and whether there have been violations of existing legal regulations, and,if there was, the respond to such violations, Tuan said. If dairy prices continue rising, the relevant offices could apply ceiling price mechanisms on such dairy selling prices in the local market under regulations contained in the Law on Price, he said. According to the Price Management Department, the dairy production and trading companies increased prices by 5 to 10 per cent in December 2013. They have continued registering increases in prices since early this year, though the ministries have offered many solutions to ease the pressure on the local market. The department said it asked dairy production and trading companies to list prices of their products, since December 2013 for Mead Johnson, since January for Nestle Viet Nam, February for Vinamilk and Friesland Campina, and March for 3A Nutrition Joint Stock Company distributing Abbot dairy products. The companies must also explain the reasons for increasing their selling prices. "Recently, prices of input materials throughout the world have increased by 5 to 48 per cent, and those prices are expected to continue increasing. Additionally, the cost of direct and indirect labour of the Friesland Campina increased by 15 per cent, on average, since April 2013. But the company had not changed prices," said Truong Van Toan, External and Legal Director of Friesland Campina. "The company has proposed to increase selling prices for 16 products out of its total 47 products to obtain investment for research and development of products and to assure the use of good quality materials. It has planned to increase those prices since February 25 but, in fact, the prices for the 16 products have remained unchanged." According to Nestle Viet Nam, the increase was due to high import prices and the costs of labour and transport, the department said.